1 Introduction: What is a Biomarker? 6 Molecular Biomarkers in Clinical Practice: Is Translation Feasible? 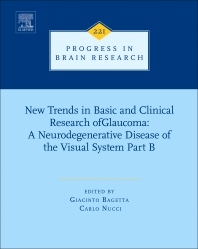 New Trends in Basic and Clinical Research of Glaucoma: A Neurodegenerative Disease of the Visual System - Part B is the latest volume from Progress in Brain Research focusing on new trends in basic and clinical research of glaucoma. This established international series examines major areas of basic and clinical research within neuroscience, as well as emerging subfields.